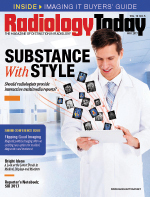 Editor's Note: This article is based on press materials provided by the Society of Interventional Radiology (SIR) in March at its Annual Scientific Meeting in Washington, D.C. The results of a prominent National Institutes of Health (NIH)-sponsored study into the treatment of deep vein thrombosis (DVT) provide important guidance for physicians on how best to treat their DVT patients, according to research presented at the SIR 2017 Annual Scientific Meeting in March. The study, "Acute Venous Thrombosis: Thrombus Removal with Adjunctive Catheter-Directed Thrombolysis or ATTRACT," compared two treatment strategies for DVT in a randomized, multicenter trial and will serve as the basis for future evidence-based guidance on how to treat various forms of DVT. The clinical trial of 692 patients with acute DVT, a dangerous blood clot that forms in a deep leg vein, was funded in part by a $10 million grant from the National Heart, Lung, and Blood Institute, with additional support from the SIR Foundation and four companies—Boston Scientific, BSN medical, Covidien (now Medtronic), and Genentech. The companies played no role in the study's design, execution, or data analysis. Led by an interventional radiologist and involving 55 other hospitals and leading DVT researchers from multiple subspecialties, the trial included patients whose acute DVT occurred in the femoral, common femoral, and/or iliac veins. The trial found that most patients with DVT should continue to be treated with anticoagulant drugs alone, without undergoing a procedure-based intervention. However, the study also showed that a minimally invasive, catheter-directed therapy, known as pharmacomechanical catheter-directed thrombolysis (PCDT), provides greater relief of initial leg pain and swelling and is likely to prevent disability in certain DVT patients. PCDT is a minimally invasive treatment that removes clots through a tiny incision—2 mm to 3 mm long—using a clot-busting drug along with catheter-driven devices that mechanically break up clots. The study suggests that some patients who received PCDT were less likely to develop moderate to severe postthrombotic syndrome (PTS). Because patients with the largest blood clots, known as iliofemoral DVT, are more likely to develop PTS, they appear to be the most likely to benefit from PCDT. Patients were randomly assigned to one of two treatment groups—the active treatment group, which received blood-thinning drugs along with PCDT, and a control group that received blood-thinning drugs alone. The study found that PTS occurred with equal frequency in both groups. Researchers also found that DVT patients who received both blood-thinning drugs and PCDT were 25% less likely (18% with PCDT vs 24% without PCDT) to develop moderate to severe PTS. Suresh Vedantham, MD, FSIR, a professor of radiology and surgery at the Mallinckrodt Institute of Radiology at the Washington University School of Medicine in St. Louis, and the study's principal investigator, said that in the overall study population, researchers also found that the combination of PCDT and blood-thinners provided greater relief of leg pain and swelling during the first 30 days of treatment compared with blood-thinners alone. "These findings allow health care professionals to make better decisions as to who may benefit from PCDT, ensuring that patient care teams deliver the best care while reducing harm from unnecessary treatments," Vedantham said. "Today's health care environment is focused on delivering the right care for the right patient, and our results support this trend." Every year, about 600,000 Americans experience a DVT, the formation of clots in several different veins that move blood from various parts of the body back to the heart and lungs. DVT is caused by a combination of factors: change in blood flow, injury to a vein, or other conditions. About 40% of DVT patients develop PTS, a long-term complication that occurs when blood flow is blocked or flows backwards due to damaged blood vessels, causing chronic pain, swelling, and fatigue of the affected limb. PTS can cause major disability that can prevent people from walking even short distances, working, or conducting normal daily activities. Many patients with PTS also develop venous leg ulcers, which are open sores that are difficult to heal. Therefore, the prevention of PTS and moderate to severe PTS are important goals of DVT treatment. To learn more about PCDT and other minimally invasive treatments, visit www.sirweb.org. Prostate artery embolization (PAE), a minimally invasive treatment that reduces urinary tract symptoms for men with enlarged prostates, maintains its effectiveness for at least three years after patients undergo the therapy, according to research presented at the SIR 2017 Annual Scientific Meeting. The researchers also found that PAE, which was developed and is performed by interventional radiologists, is especially effective in men with benign prostatic hyperplasia (BPH) who also have acute urinary retention (AUR), the inability to voluntarily urinate, and in patients with very large prostates who are normally treated with open surgery. This study of 1,000 men is the largest of its kind to evaluate the long-term effectiveness of PAE. According to the National Institutes of Health, as many as 14 million men in the United States have symptoms suggestive of BPH, one of the most common prostate problems occurring in men older than 50; it can affect 50% of men between 51 and 60 years of age and up to 90% of men older than 80. "PAE gives men with BPH a treatment option that is less invasive than other therapies and allows them to return to their normal lives sooner," said João Martins Pisco, MD, an interventional radiologist at St. Louis Hospital in Lisbon, Portugal, and the study's lead author. "Time and time again, I see patients who are relieved to find out about PAE because they are not able to tolerate medications for BPH due to their side effects. These men also don't want traditional surgery because it involves greater risks, has possible sexual side effects, and has a recovery time that is relatively long compared with PAE, which is generally performed under local anesthesia and on an outpatient basis." Between March 2007 and March 2016, Pisco and his team performed PAE on 1,000 men who averaged 67 years of age. All patients were evaluated in the short term (one, three, and six months), 807 patients were seen through the medium term (every six months between six months and three years), and 406 patients were evaluated long term (every year after three years). During each evaluation, the International Prostate Symptom Score, which tests for the blockage of urine flow, and the International Index of Erectile Function, which assesses erectile dysfunction, were used to measure the men's symptoms. Researchers also measured the size of the prostate and the amount of urine left in the bladder after urination. In addition, they evaluated the peak urinary flow rate and the prostate-specific antigen level, a test used to screen for prostate cancer. The data from these measures revealed, at the short-term mark, that the treatment had an 89% cumulative success rate—measuring the success across all variables through the given testing period. The 807 men evaluated at the medium-term mark had an 82% success rate. Of the 406 patients measured at the long-term mark, 78% were considered cumulative successes. "Our results demonstrate that this minimally invasive treatment is successful in the long term and should always be presented to patients who are exploring options to resolve their BPH," Pisco said. During PAE, an interventional radiologist makes a tiny incision in either the groin or wrist to insert a catheter into an artery and, using image guidance, directs the catheter to the blood vessels on both sides of the enlarged prostate gland. Once there, the doctor uses microscopic beads to block the blood flow to specific areas of the prostate, depriving those cells of oxygen, which results in the gland's shrinkage. In an additional analysis, researchers found that among 112 patients who also suffered AUR before undergoing PAE, 106 or 94.6% had their catheter removed between two days and three months after treatment. At medium-term and long-term follow ups, 95 of the 112 (84.8%) and 89 of the 112 (78.5%) did not experience any recurrence of their AUR. The team also performed PAE in 210 patients who had limited treatment options due to extreme enlargement of the prostate (larger than 100 cm3). Of these men, 84% experienced cumulative success at short-term evaluation and 76.2% at medium- and long-term. The normal size of a prostate is 15 cm3 to 30 cm3. As a next step, researchers are now conducting a study comparing the effectiveness of PAE to a sham treatment to address any possible placebo effect that may have occurred during Pisco's research with these 1,000 patients. Abstract 1: "Short-, medium- and long-term outcomes of prostate artery embolization for patients with benign prostatic hyperplasia: 1,000 patients." J. Pisco, Lisbon, Portugal; T. Bilhim, Lisbon, Portugal; L. Campos Pinheiro, Lisbon, Portugal; L. Fernandes, Lisbon, Portugal; N. Costa, Lisbon, Portugal; A. Oliveira, Universidade Federal de Rio Grande do Norte. Natal, RN Brasil. SIR Annual Scientific Meeting, March 4-9, 2017. This abstract can be found at sirmeeting.org. A minimally invasive treatment for migraine headaches that is used for adults is also proving to be a safe and effective treatment for children and teenagers and only takes minutes for a child to feel relief, according to research presented at the SIR 2017 Annual Scientific Meeting. Migraines are a common medical condition among youth and adults, affecting 12% of people ages 12 and older. They can be especially debilitating in teenagers and often disrupt everyday activities such as school, music, and sports. The treatment—sphenopalatine ganglion (SPG) block—does not involve needles touching the patient. Instead, a small, flexible catheter is inserted into each nostril and local anesthetic is administered to the SPG, a nerve bundle thought to be associated with migraines located at the back of the nose. Briefly disabling the SPG can disrupt and reset the headache circuit, breaking a cycle of severe migraines and reducing the need for medication. The minimally invasive SPG block takes almost immediate effect with relief potentially lasting for months, researchers said. SPG blocks are not a frontline treatment. A child only qualifies for the therapy if he or she has been diagnosed with a severe migraine that has not responded to first-line treatments. "This treatment, performed in an outpatient setting by an interventional radiologist, can safely relieve a child's migraine quickly," said Robin Kaye, MD, section chief of IR in the department of medical imaging at Phoenix Children's Hospital and a coauthor of the study. "By reducing the need for medications that come with serious side effects or intravenous therapies that may require hospital stays, children don't have to miss as much school and can get back to being a kid sooner." Kaye and her team conducted 310 treatments in 200 patients ages 7 to 18 at Phoenix Children's Hospital. Patients' pain levels before the intervention were recorded on a scale of 1 to 10. Ten minutes after the treatment, patients were asked to compare their pain level, using the same scale. The researchers saw a statistically significant decrease in the headache scores, with average pain score reduction of just more than two points on the 10-point scale. "While it isn't a cure for migraines, this treatment has the potential to really improve the quality of life for many children," Kaye said. "It can be performed easily, without complications, and gives quick pain relief, which is important to parents, who want to see their children happy, healthy, and pain-free again. If needed, we can also repeat the treatment if or when the migraine returns." Abstract 10: "Safety and efficacy of sphenopalatine ganglion blockade in children — initial experience." L. Dance, D. Aria, C. Schaefer, R. Kaye, M. Yonker, R. Towbin; Phoenix Children's Hospital. SIR Annual Scientific Meeting, March 4-9, 2017. This abstract can be found at sirmeeting.org.